What Are Some of the Strongest Denture Adhesives? Some of the strongest denture adhesives on the market include Dentek Secure, Fixodent, Seabond and Super Poligrip. These adhesives come in either a paste or wafer formula. Fixodent is the only adhesive on the list that still contains zinc. The performance of a denture adhesive varies from person to person and depends on a good denture fit to begin with. Dentures with a poor fit are less compatible with denture adhesives. This is because adhesives are designed to be applied in a thin layer. It is more economical to replace an old denture set than to use larger amounts of adhesive. The best adhesives give a stable, comfortable and long-lasting fit. What Are Some Denture Adhesives With Good Ratings? 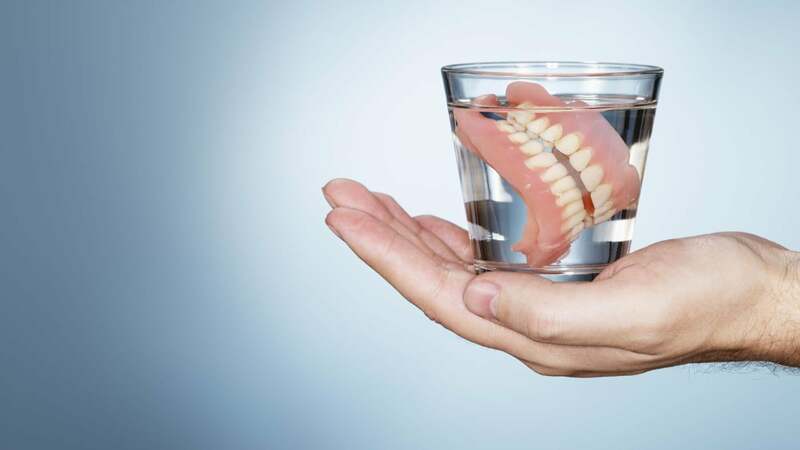 How Much Are Denture Implants? Does Fixodent Cause Zinc Poisoning? How Do You Find the Current Cost for Mini Dental Implants? How Long Does a Toothache Last? What Causes a Wisdom Tooth Infection? What Are Some Risks of Tooth Implant Procedures? How Much Does Tissue Grafting of the Gums Cost? Who Underwrites the Clear Choice Dental Plan?